Centrum moves to 24 hour print. The new Rapida 145, purchased at Drupa 2016 and installed at our Chipping Norton plant in February this year, has allowed Centrum to expand into a 24-hour weekday service when coupled with its existing Rapida 162. This helps Centrum keep up with demand, increase its capacity, and offer a faster turnaround for its clients while helping them avoid sending work offshore, says Sandra Mascaro, general manager. “We believe we have a competitive edge when it comes to quality and turnaround times compared to the overseas market. 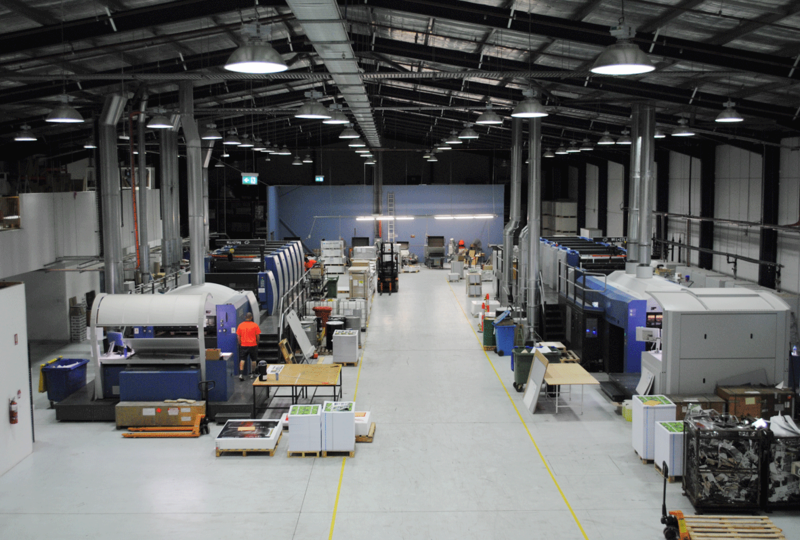 We are passionate about keeping print manufacturing in Australia,” Mascaro said. Centrum can print sheet sizes from 500mm by 600mm up to 1600mm by 1200mm, allowing it to produce commercial work, small to large format point of sale displays, and packaging. It also offers a range of finishing options, including lamination or silver, gold and holographic foils, to a maximum size of 1380mm by 1680mm. Die-cutting and mounting services are available as well, making Centrum the complete printing solution, says Mascaro: “Our equipment is made available to the industry, and our business model is to support trade and resellers. We are here to provide state of the art technology and become an outsourcing partner, allowing printers to take advantage of providing added value to their existing client base,” she said.